 Chapter 55 - North Carolina Business Corporation Act. § 55-1-02. Reservation of power to amend or repeal. §§ 55-1-03 through 55-1-19. Reserved for future codification purposes. § 55-1-22. Filing, service, and copying fees. §§ 55-1-22.1 through 55-1-27: Transferred to §§ 55D-11 through 55D-17 by Session Laws 2001-358, s. 3(b). § 55-1-28. Certificate of existence. § 55-1-29: Transferred to § 55D-18 by Session Laws 2001-358, s. 3(b). § 55-1-31. Interrogatories by Secretary of State. § 55-1-32. Penalties imposed upon corporations, officers, and directors for failure to answer interrogatories. § 55-1-33. Information disclosed by interrogatories. §§ 55-1-34 through 55-1-39. Reserved for future codification purposes. § 55-1-42. Number of shareholders. §§ 55-1-43 through 55-1-49. Reserved for future codification purposes. § 55-1-51: Reserved for future codification purposes. § 55-1-52: Reserved for future codification purposes. § 55-1-53: Reserved for future codification purposes. § 55-1-54: Reserved for future codification purposes. § 55-1-55: Reserved for future codification purposes. § 55-1-56: Reserved for future codification purposes. § 55-1-57: Reserved for future codification purposes. § 55-1-58: Reserved for future codification purposes. § 55-1-59: Reserved for future codification purposes. § 55-1-61. Defective corporate actions. § 55-1-62. Ratification of defective corporate actions. § 55-1-63. Action on ratification. § 55-1-65. Effect of ratification. § 55-1-67. Judicial proceedings regarding validity of corporate actions. § 55-2-02. Articles of incorporation. § 55-2-04. Reserved for future codification purposes. § 55-2-05. Organization of corporation. Article 3 - Purposes and Powers. § 55-3-05. Exercise of corporate franchises not granted. §§ 55-4-01 through 55-4-05: Transferred to §§ 55D-20 through 55D-27 by Session Laws 2001-358, ss. 14(a) and 14(b). Article 5 - Office and Agent. § 55-5-01. Registered office and registered agent. §§ 55-5-02 through 55-5-04: Transferred to §§ 55D-31 through 55D-33 by Session Laws 2001-358, s. 44. Article 6 - Shares and Distribution. § 55-6-02. Terms of class or series determined by board of directors. § 55-6-03. Issued and outstanding shares. §§ 55-6-05 through 55-6-19. Reserved for future codification purposes. § 55-6-20. Subscription for shares before incorporation. § 55-6-21. Issuance of shares. § 55-6-22. Liability of shareholders. § 55-6-24. Rights, options, and warrants. § 55-6-25. Form and content of certificates. § 55-6-26. Shares without certificate. § 55-6-27. Restriction on transfer of shares and other securities. § 55-6-28. Expense of issue. § 55-6-29. Reserved for future codification purposes. § 55-6-30. Shareholders' preemptive rights. § 55-6-31. Corporation's acquisition of its own shares. §§ 55-6-32 through 55-6-39. Reserved for future codification purposes. § 55-6-40. Distributions to shareholders. § 55-7-04. Action without meeting. § 55-7-05. Notice of meeting. § 55-7-06. Waiver of notice. § 55-7-08: Repealed by Session Laws 2013-153, s. 4, effective January 1, 2014. § 55-7-09. Remote participation in meetings. § 55-7-10: Reserved for future codification purposes. § 55-7-11: Reserved for future codification purposes. § 55-7-12: Reserved for future codification purposes. § 55-7-13: Reserved for future codification purposes. § 55-7-14: Reserved for future codification purposes. § 55-7-15: Reserved for future codification purposes. § 55-7-16: Reserved for future codification purposes. § 55-7-17: Reserved for future codification purposes. § 55-7-18: Reserved for future codification purposes. § 55-7-19: Reserved for future codification purposes. § 55-7-20. Shareholders' list for meeting. § 55-7-21. Voting entitlement of shares. § 55-7-21.1. Rights of holders of debt securities. § 55-7-23. Shares held by nominees. § 55-7-24. Corporation's acceptance of votes. § 55-7-25. Quorum and voting requirements for voting groups. § 55-7-26. Action by single and multiple voting groups. § 55-7-27. Greater quorum or voting requirements. § 55-7-28. Voting for directors; cumulative voting. § 55-7-29. Reserved for future codification purposes. §§ 55-7-32 through 55-7-39. Reserved for future codification purposes. § 55-7-40. Shareholders' derivative actions. § 55-7-43. Stay of proceedings. § 55-7-45. Discontinuance or settlement. § 55-7-46. Payment of expenses. § 55-7-47. Applicability to foreign corporations. § 55-7-48. Suits against directors of public corporations. § 55-7-50. Exclusive forum or venue provisions valid. Article 8 - Directors and Officers. § 55-8-01. Requirement for and duties of board of directors. § 55-8-02. Qualifications of directors. § 55-8-03. Number and election of directors. § 55-8-04. Election of directors by certain classes of shareholders. § 55-8-05. Terms of directors generally. § 55-8-06. Staggered terms for directors. § 55-8-07. Resignation of directors. § 55-8-08. Removal of directors by shareholders. § 55-8-09. Removal of directors by judicial proceeding. § 55-8-10. Vacancy on board. § 55-8-11. Compensation of directors. §§ 55-8-12 through 55-8-19. Reserved for future codification purposes. § 55-8-21. Action without meeting. § 55-8-22. Notice of meeting. § 55-8-23. Waiver of notice. § 55-8-24. Quorum and voting. § 55-8-26. Submission of matters for shareholder vote. § 55-8-27: Reserved for future codification purposes. § 55-8-28: Reserved for future codification purposes. § 55-8-29: Reserved for future codification purposes. § 55-8-30. General standards for directors. § 55-8-31. Director conflict of interest. § 55-8-32. Loans to directors. § 55-8-33. Liability for unlawful distributions. §§ 55-8-34 through 55-8-39. Reserved for future codification purposes. § 55-8-41. Duties of officers. § 55-8-42. Standards of conduct for officers. § 55-8-43. Resignation and removal of officers. § 55-8-44. Contract rights of officers. §§ 55-8-45 through 55-8-49. Reserved for future codification purposes. § 55-8-50. Policy statement and definitions. § 55-8-51. Authority to indemnify. § 55-8-53. Advance for expenses. § 55-8-55. Determination and authorization of indemnification. § 55-8-56. Indemnification of officers, employees, and agents. § 55-8-57. Additional indemnification and insurance. § 55-8-58. Application of Part. Article 9 - Shareholder Protection Act. § 55-9-01. Short title and definitions. § 55-9-03. Exception to voting requirement. Article 9A - Control Share Acquisitions. § 55-9A-01. Short title and definitions. § 55-9A-02. Acquiring person statement. § 55-9A-03. Meeting of shareholders. § 55-9A-06. Right of redemption by shareholders. Article 10 - Amendment of Articles of Incorporation and Bylaws. § 55-10-01. Authority to amend. § 55-10-02. Amendment by board of directors. § 55-10-03. Amendment by board of directors and shareholders. § 55-10-04. Voting on amendments by voting groups. § 55-10-05. Amendment before issuance of shares. § 55-10-06. Articles of amendment. § 55-10-07. Restated articles of incorporation. § 55-10-08. Reserved for future codification purposes. § 55-10-09. Effect of amendment. §§ 55-10-10 through 55-10-19. Reserved for future codification purposes. § 55-10-20. Amendment by board of directors or shareholders. § 55-10-21. Reserved for future codification purposes. § 55-10-22. Bylaw increasing quorum or voting requirement for directors. Article 11 - Merger and Share Exchange. § 55-11-03. Action on plan. § 55-11-04. Merger between parent corporation and subsidiary or between subsidiaries. § 55-11-05. Articles of merger or share exchange. § 55-11-06. Effect of merger or share exchange. § 55-11-07. Merger or share exchange with foreign corporation. § 55-11-08. Article 9 to control. § 55-11-09. Merger with nonprofit corporation. § 55-11-10. Merger with unincorporated entity. § 55-11-11: Recodified as G.S. 55-11-20 by Session Laws 2018-45, s. 22, effective October 1, 2018. § 55-11-12. Merger between parent unincorporated entity and subsidiary corporation or corporations. § 55-11-13. Effect of merger with unincorporated entity. § 55-11-14: Reserved for future codification purposes. § 55-11-15: Reserved for future codification purposes. § 55-11-16: Reserved for future codification purposes. § 55-11-17: Reserved for future codification purposes. § 55-11-18: Reserved for future codification purposes. § 55-11-19: Reserved for future codification purposes. § 55-11-20. Merger to effect a holding company reorganization. § 55-11A-02. Plan of conversion. § 55-11A-03. Filing of articles of incorporation by converting entity. § 55-11A-04. Effects of conversion. §§ 55-11A-05 through 55-11A-09. Reserved for future codification purposes. § 55-11A-11. Plan of conversion. § 55-11A-12. Articles of conversion. § 55-11A-13. Effects of conversion. Article 12 - Transfer of Assets. § 55-12-01. Disposition of assets not requiring shareholder approval and mortgage of assets. § 55-12-02. Disposition of assets requiring shareholder approval. § 55-12-03. Article 9 to control. Article 13 - Appraisal Rights. § 55-13-02. Right to appraisal. § 55-13-03. Assertion of rights by nominees and beneficial owners. §§ 55-13-04 through 55-13-19. Reserved for future codification purposes. § 55-13-20. Notice of appraisal rights. § 55-13-21. Notice of intent to demand payment and consequences of voting or consenting. § 55-13-22. Appraisal notice and form. § 55-13-23. Perfection of rights; right to withdraw. § 55-13-24: Repealed by Session Laws 2011-347, s. 1, effective October 1, 2011. § 55-13-26: Repealed by Session Laws 2011-347, s. 1, effective October 1, 2011. § 55-13-28. Procedure if shareholder dissatisfied with payment or offer. § 55-13-29. Reserved for future codification purposes. § 55-13-31. Court costs and expenses. § 55-13-32: Reserved for future codification purposes. § 55-13-33: Reserved for future codification purposes. § 55-13-34: Reserved for future codification purposes. § 55-13-35: Reserved for future codification purposes. § 55-13-36: Reserved for future codification purposes. § 55-13-37: Reserved for future codification purposes. § 55-13-38: Reserved for future codification purposes. § 55-13-39: Reserved for future codification purposes. § 55-13-40. Other remedies limited. § 55-14-01. Dissolution by incorporators or directors. § 55-14-02. Dissolution by board of directors and shareholders. § 55-14-03. Articles of dissolution. § 55-14-04. Revocation of dissolution. § 55-14-05. Effect of dissolution. § 55-14-06. Known claims against dissolved corporation. § 55-14-07. Unknown and certain other claims against dissolved corporation. § 55-14-08. Enforcement of claims. §§ 55-14-10 through 55-14-19. Reserved for future codification purposes. § 55-14-20. Grounds for administrative dissolution. § 55-14-21. Procedure for and effect of administrative dissolution. § 55-14-22. Reinstatement following administrative dissolution. § 55-14-23. Appeal from denial of reinstatement. § 55-14-24. Inapplicability of Administrative Procedure Act. §§ 55-14-25 through 55-14-29. Reserved for future codification purposes. § 55-14-30. Grounds for judicial dissolution. § 55-14-31. Procedure for judicial dissolution. § 55-14-33. Decree of dissolution. §§ 55-14-34 through 55-14-39. Reserved for future codification purposes. § 55-14-40. Disposition of amounts due to unavailable shareholders and creditors. § 55-14A-01. Fundamental changes in reorganization proceedings. Article 15 - Foreign Corporations. § 55-15-01. Authority to transact business required. § 55-15-02. Consequences of transacting business without authority. § 55-15-03. Application for certificate of authority. § 55-15-04. Amended certificate of authority. § 55-15-05. Effect of certificate of authority. § 55-15-06: Repealed by Session Laws 2001-358, s. 18. § 55-15-07. Registered office and registered agent of foreign corporation. §§ 55-15-08 through 55-15-10: Repealed by Session Laws 2001-358, s. 47(c), effective January 1, 2002. §§ 55-15-11 through 55-15-19. Reserved for future codification purposes. § 55-15-20. Withdrawal of foreign corporation. § 55-15-21. Withdrawal of foreign corporation by reason of a merger, consolidation, or conversion. §§ 55-15-22 through 55-15-29. Reserved for future codification purposes. § 55-15-30. Grounds for revocation. § 55-15-31. Procedure for and effect of revocation. § 55-15-32. Appeal from revocation. § 55-15-33. Inapplicability of Administrative Procedure Act. Article 16 - Records and Reports. § 55-16-02. Inspection of records by shareholders. § 55-16-03. Scope of inspection right. § 55-16-05. Inspection of records by directors. § 55-16-06. Exception to notice requirements. §§ 55-16-07 through 55-16-19. Reserved for future codification purposes. § 55-16-20. Financial statements for shareholders. § 55-16-21: Repealed by Session Laws 2005-268, s. 37, effective October 1, 2005. § 55-16-22.1. Repealed by Session Laws 1998-228, S.17. § 55-16-22.2. Report of veteran-owned small businesses and service-disabled veteran-owned small businesses. Article 17 - Transition and Curative Provisions. § 55-17-01. Applicability of act. § 55-17-02. Application to qualified foreign corporations.